As an aside from the crafting, I wanted to share some of the pictures from my family's trip to Grayson Highlands State Park in Virginia last weekend. The colors were so inspiring that I put together a little photographic collage. I'm no photographer, but I hope you enjoy God's creativity! 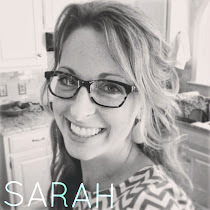 Sarah - these photos are amazing! Maybe you should pick up photography! I love your new site! It has been added to my daily blog list! Makes me what to leave Arizona!! This is one of our family's FAVORITE places. It is so beautiful and peaceful. We have yet to see the horses, though ... sniff sniff.